Nice to see one of the legends of the game return to @TVPokerRoom as Howard 'Tahoe' Andrew came in to take his seat for Day 1B of the $100,000 Guarantee Catapult. A bit of a health issue set Tahoe back some early in the year, but he's here and looking for yet another cash at Thunder Valley. 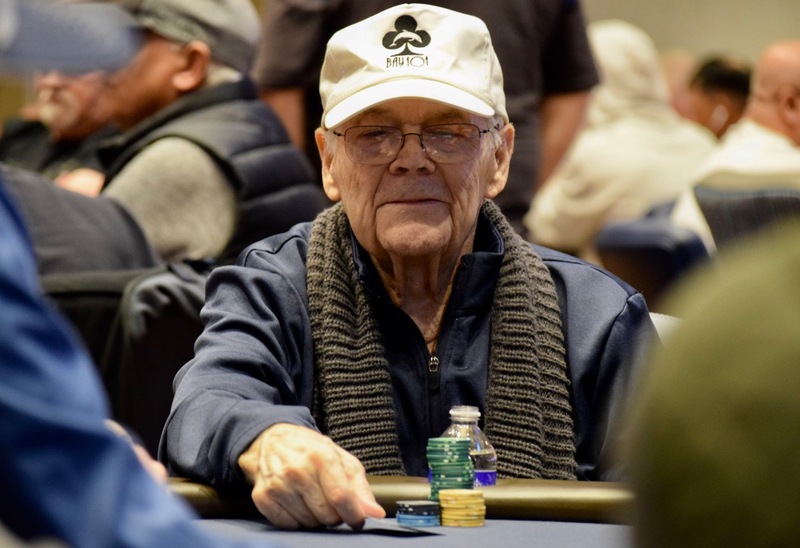 The original 'Back-to-Back," with WSOP bracelet wins on consecutive days in 1974, he's still one of the toughest Omaha players you'll come across.